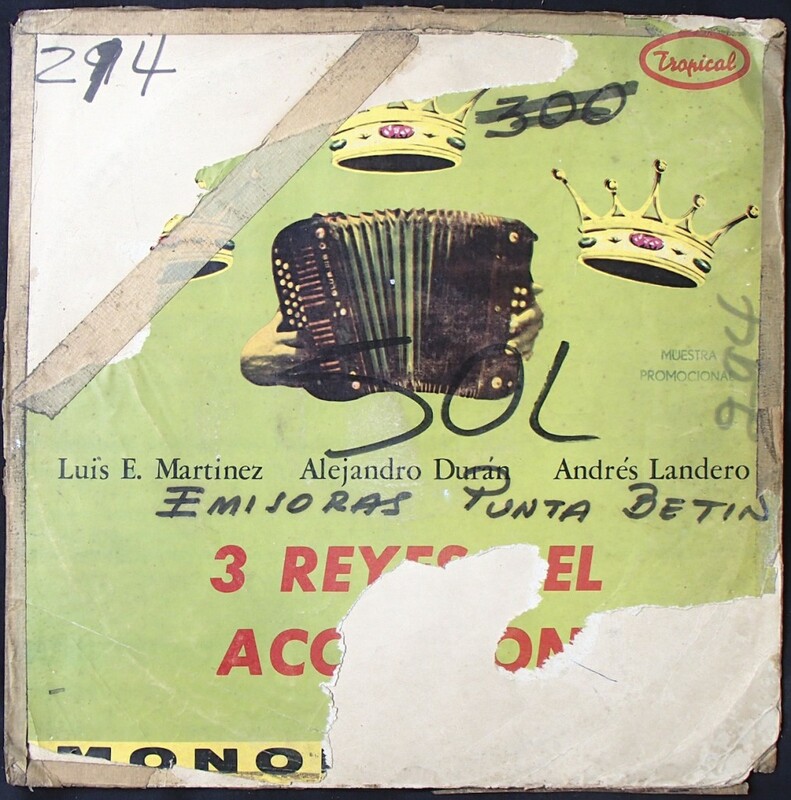 The accordion (“el acordeón”) is a peculiar addition to the Colombian musical tradition. It’s not the first thing you would expect from the sorts of genres that deliver the kind of persistent rhythm and groove necessary for dancing. 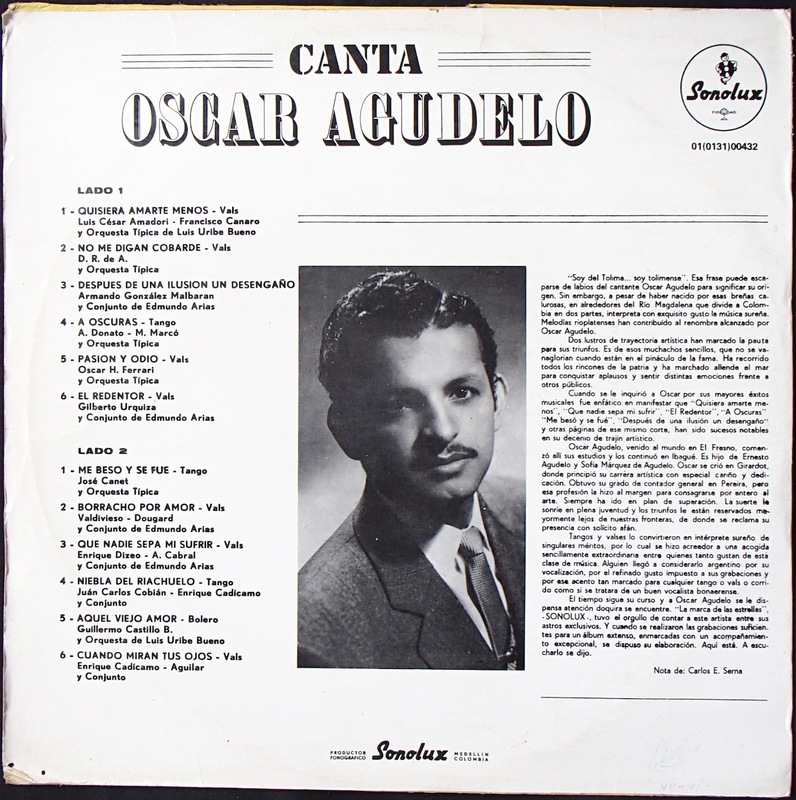 Nevertheless it is fundamental to a lot of Colombian music. In particular, it takes center stage in the folkloric genres of cumbia and vallenato. 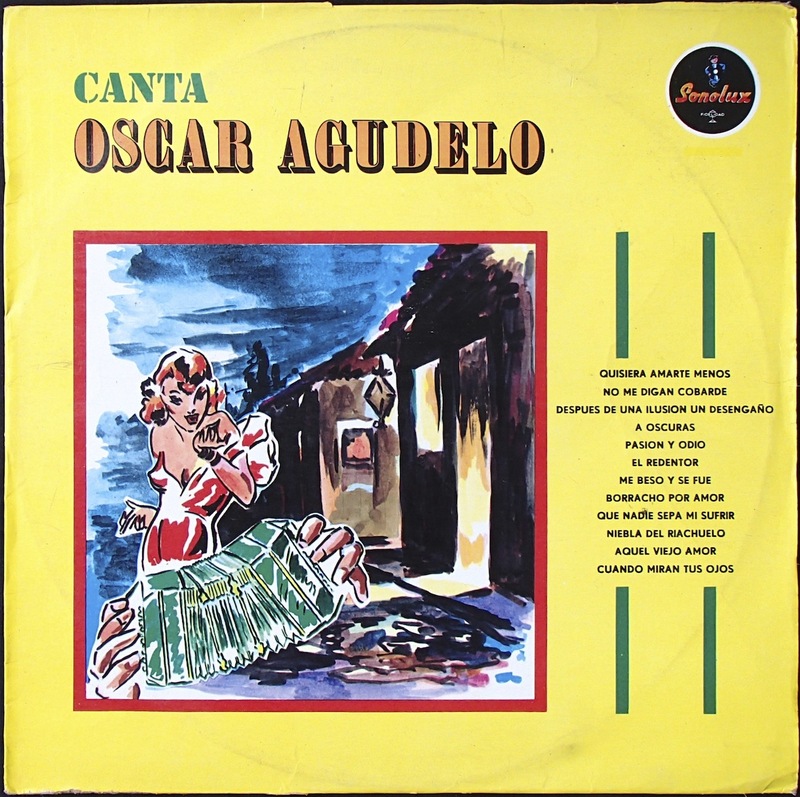 A popular contemporary Colombian soap opera about the vallenato revolves around the exploits of one maestro del acordeón. Here’s a pretty dirty compilation of three maestros del acordeón: Luis E. Martinez, Alejandro Durán, and Andrés Landero. 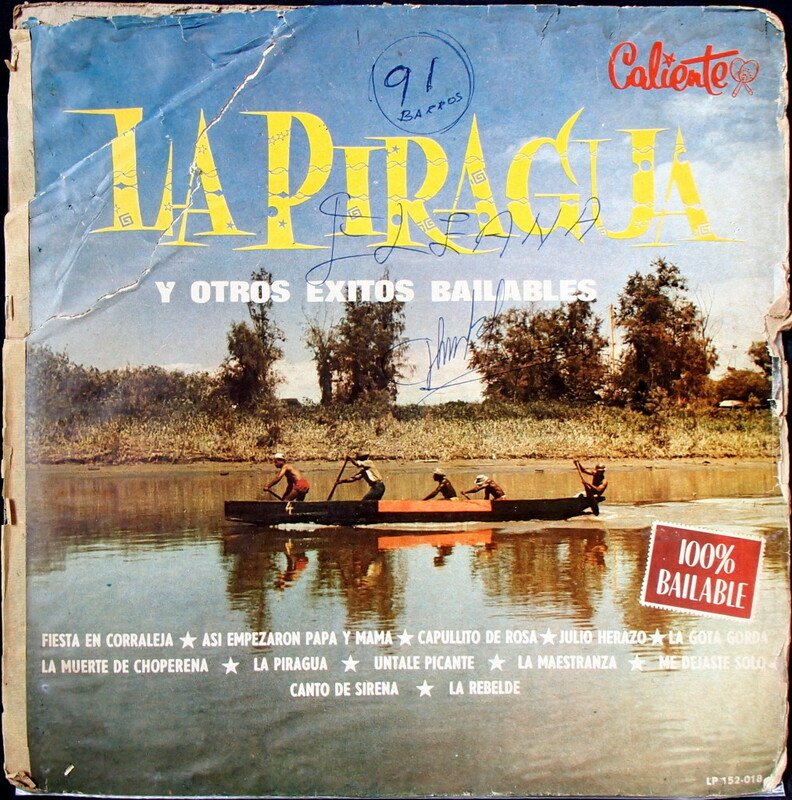 This track, Bajo Sinú (“Below Sinú”), is a rhythmic vallenato called a paseo. I like the musician’s rough, informally-taught voice. Sinú is a river that runs through the Atlantic coastal part of the country, where a lot of the more rhythmic, tropical music comes from. The La Piragua… compilation was really badly scratched up, and this is one of the only tracks that managed to come out more or less unscathed. It is La rebelde (“The Rebel”), a beautiful romantic little cumbia written and sung by Adolfo Echeverría.